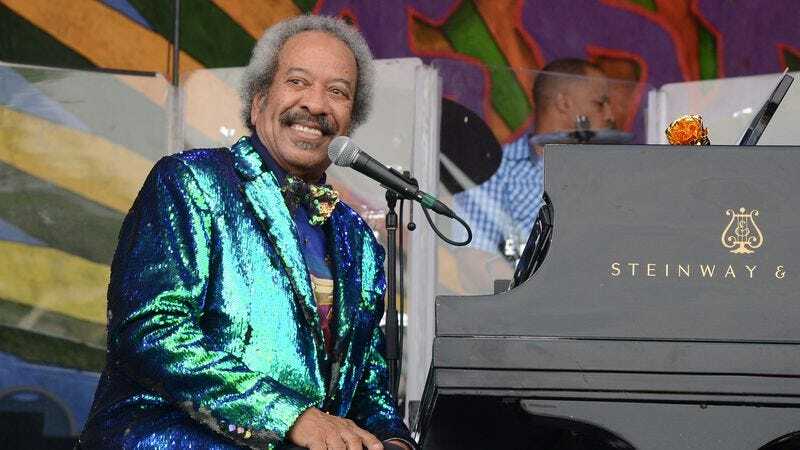 Legendary New Orleans musician Allen Toussaint has died. He was 77 and reportedly suffered a heart attack after a concert in Madrid, Spain. Many of the tracks Toussaint wrote would become famous not through his own performances, but by acts like Robert Plant and The Doors. “Fortune Teller,” for instance, was written by Toussaint in the ’60s but was subsequently covered by The Rolling Stones, The Who, The Hollies, and more. Alison Krauss and Robert Plant even covered it on their excellent 2007 LP Raising Sand. In the 1970s, Toussaint switched to a funkier style, working with New Orleans acts like The Meters, Dr. John, B.J. Thomas, and Solomon Burke. He arranged parts of several records by The Band, including 1971’s Cahoots and parts of The Last Waltz film. In the mid-’70s, Toussaint started putting out his own records, and had a relative hit with Southern Nights, an album that’s only grown better with age. Later covered by Glen Campbell and taken to No. 1 on the Pop, Country, and Adult-Contemporary chart, the song “Southern Nights” is soulful and funky, easy and free. Though Toussaint’s career was never really forgotten—he was heavily sampled by hip-hop artists in the ’80s and ’90s—he experienced a bit of a resurgence in 2005, following Hurricane Katrina. The storm caused him to briefly move to New York, where he held a residence at Joe’s Pub and became a tireless advocate for his longtime home. He performed at tourism events in London, represented New Orleans on The Late Show With David Letterman, and toured constantly. Alongside Elvis Costello, he recorded The River In Reverse, the first major album recorded in the city after the storm. In more recent years, he has recorded with Paul McCartney, Eric Clapton, and Levon Helm. His most recent solo LP was 2013’s Songbook. Toussaint was inducted into the Rock And Roll Hall Of Fame in 1998. In 2013 he was awarded the National Medal Of Arts, the highest honor given to an American artist.